Viktor & Rolf are one of my absolute favourite perfume brands, I’ve reviewed quite a few of their releases on my blog over the years. I’ve also been a loyal wearer of their original Flowerbomb scent for almost a decade, it is a scent that holds so many happy memories for me. I get excited when they add a new scent to their range and this beautiful Bonbon Spring Summer addition is something very special. The original version was extremely popular and is more on the sweet side so this more citrus based version is different but still as beautiful. If you like the sweetness of the original Bonbon fragrance then I think you will appreciate the more refreshing, subtleness of this limited edition offering. 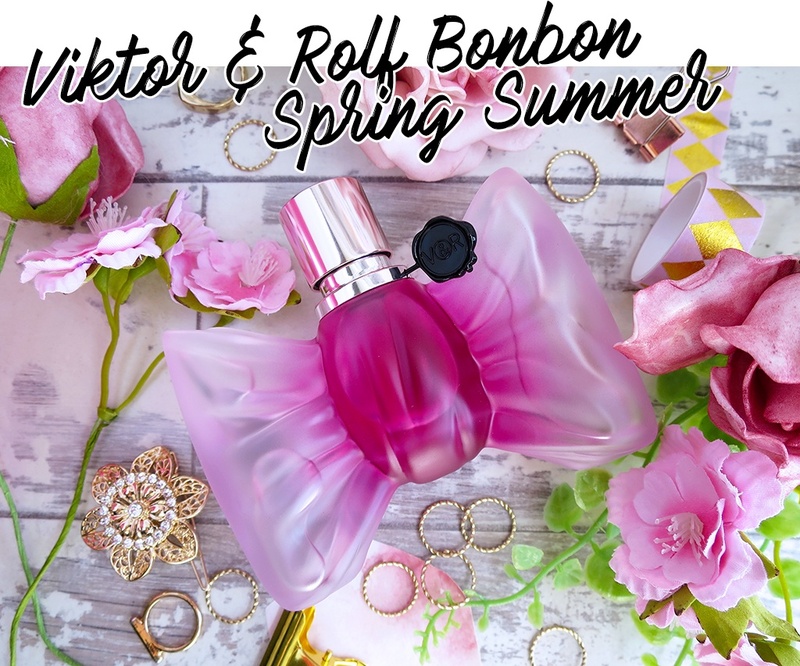 It is the perfect scent update for Spring Summer and although it is still quite sweet like the original it is a little warmer and zesty and I think it is my favourite Bonbon scent to date. I think this new Bonbon release is a more sophisticated version, the mix of citrus, wood and floral notes work so well together and they give you such a beautiful feminine scent. Although this limited edition version is more Spring appropriate and lighter it is still long-wearing. As with all Viktor and Rolf fragrances, the bottle is just as stunning as the perfume itself. The outer cardboard packaging (which I can’t throw away) is a bright fuchsia pink with the classic black V&R faux wax seal at the centre of a pretty ribbon effect. The bottle itself is just gorgeous, it is lighter than the original and comes in a pretty frosted luminous, pearly pink ombre effect bottle which feels very luxurious and heavy. It is shaped like a wrapped sweet (candy), its very feminine and looks pretty sat on your dressing table. So if you’re looking for a scent that is perfect for the warmer months then I recommend trying this fresh, warm, citrus scent. It is a great twist on the original but perfectly updated for Spring Summer!